Bars The Arsenali Lounge, situated at the lobby area serves chilled drinks, cocktails, coffees and light snacks around the pool. 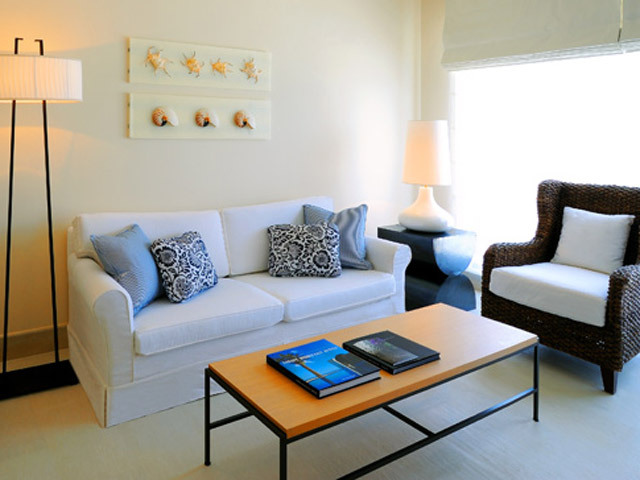 Its comfortable white couches are the perfect spot to unwind and enjoy your drinks overlooking the gulf. 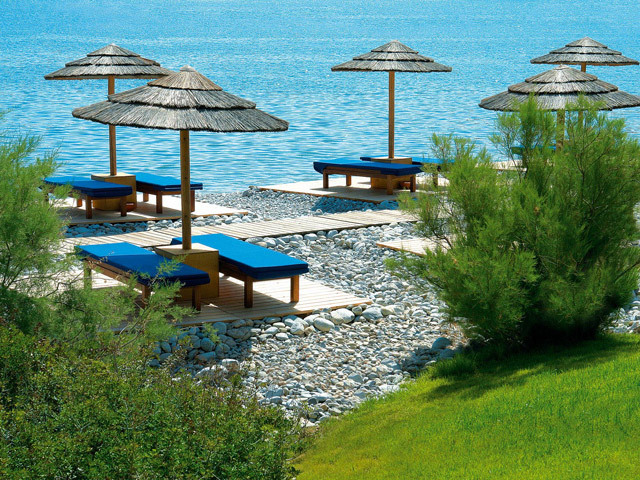 Enjoy beach service from Isola Beach Bar for lazy days spent at the beachfront. Votsalo Bar seated by one of the pools featuring a beautiful veranda, is offered for relaxing days with unique sea views of the Mediterranean Sea. 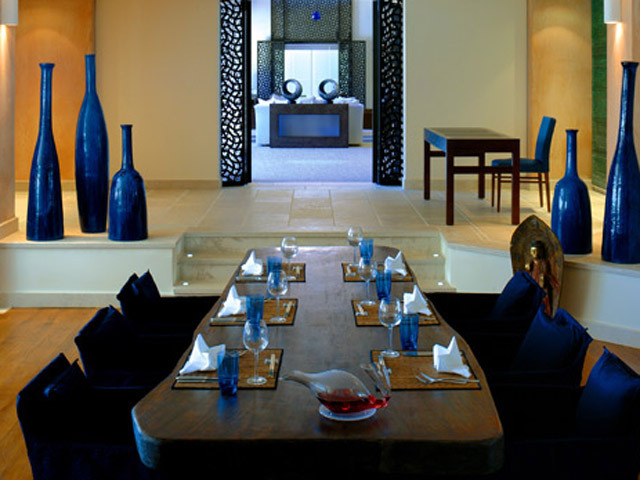 Restaurants At the Blue Palace, Resort & Spa we put great emphasis to the culinary experience. 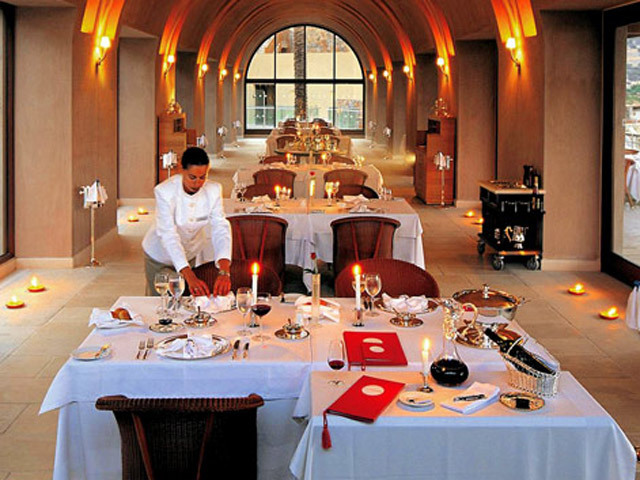 With a range of restaurants offering different cuisines in varied environments, each dinner has an entirely unique feel. Allow our executive Chef, Mr. Alexandros Lefkaditis, who has received prestigious awards together with his team to guide you through gourmet choices, dégustation menus, the delicious culinary Greek tradition, authentic Italian fare or celebrated Asian cuisine accompanied by excellent wines with the help of our expert sommelier. 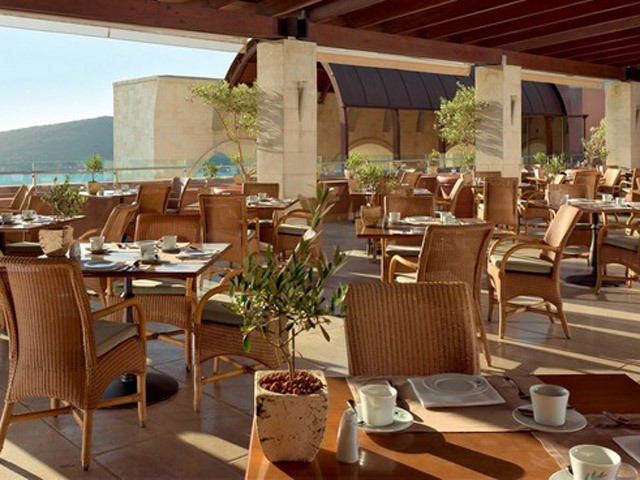 Olea Main Restaurant On Olea’s beautiful enlarged veranda enjoy your breakfast with a great view. A grand buffet that includes dishes prepared live for you, a selection of traditional and healthy choices, and French Champagne is laid out daily. 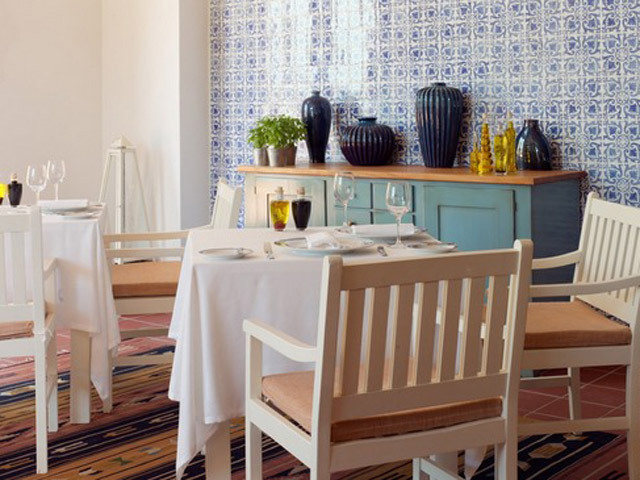 International cuisine Table d’Hote is also available at Olea for dinner. L’Orangerie On the stylish veranda of L’Orangerie or in its mystically romantic interior, enjoy a starlit dinner of exquisite quality and taste. 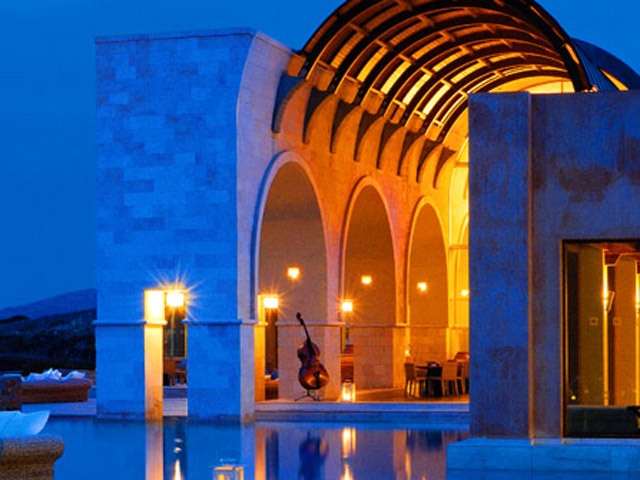 L’Orangerie is our awarded Gourmet Restaurant with impressive pebble mosaic terraces and large Cretan pots. Our Chef prepares delicious dishes inspired from around the Mediterranean Sea countries, which can be accompanied by an exquisite selection of wines suggested by our Sommelier. Be prepared for a very special evening. Asia Blue Fusion cuisine at its best! Our Chef prepares inspired dishes from the Asian tradition including Polynesian, Chinese, Japanese and Thai. Leave it to him to marvel you with excellent choices while gazing the sea. Blue Door In an old fisherman’s stone house right at the water’s edge you will find the Blue Door. A charming Greek Taverna with flood lanterns and bright blue chairs, where you can enjoy the ultimate Greek dishes for lunch and dinner. 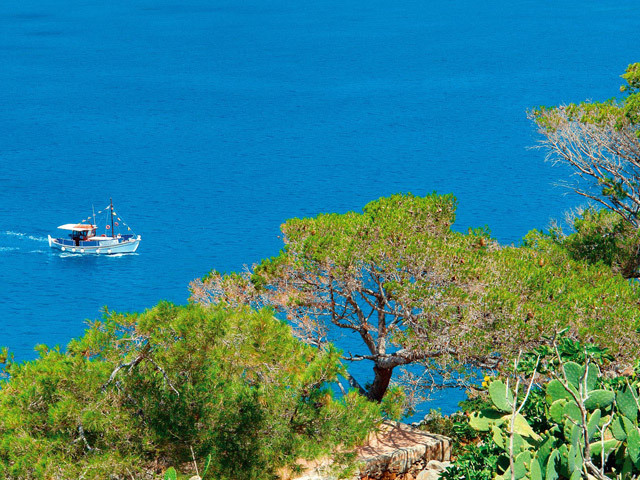 Enjoy the daily catch on the open air grill, Greek Mezé and daily specials. This is a genuine Greek Taverna experience. Isola Great casual lunches by the beach with favourite Italian cuisine and hearty salads. 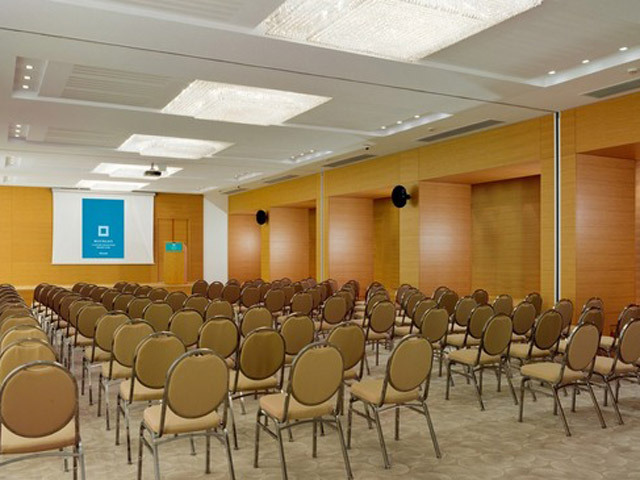 The elegantly appointed Classic Room offers contemporary furnishes and the latest in-room technology. Space of approximately 39 sq. m. not including balcony. Can accommodate a 3rd person. All the spacious elegantly appointed Superior Bungalows Sea View are grouped in seven spread around the resort and enjoy magnificent sea views. Space of approximately 40 sq. m. not including veranda or terrace. Can accommodate a 3rd person. The spacious Superior Bungalow Sea View with private infinity pool has a stylish layout and a generously proportioned veranda. 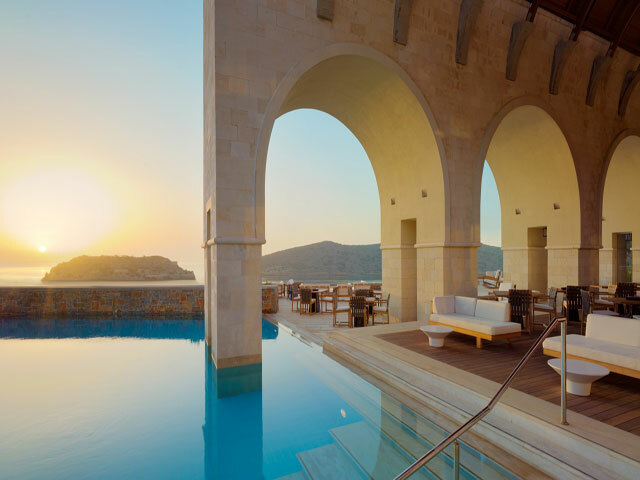 The elegant interior and the beautiful veranda with its daybed lead to an “infinity” pool that looks as if it merges seamlessly with the sea. 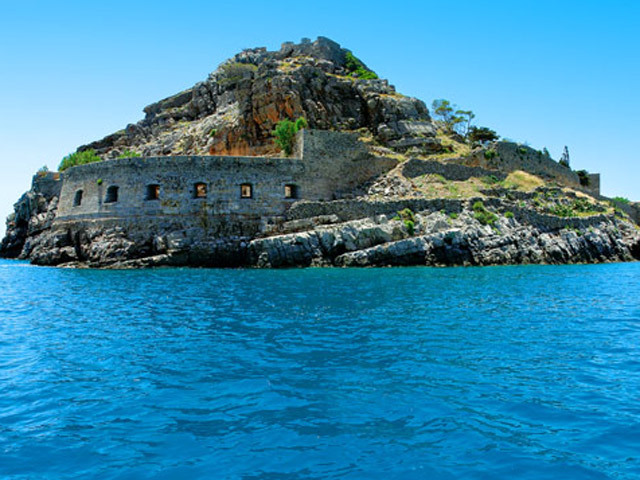 The view to the sea and the isle of Spinalonga will simply take your breath away. Space of approximately 40 sq. m. not including veranda. Can accommodate a 3rd person. 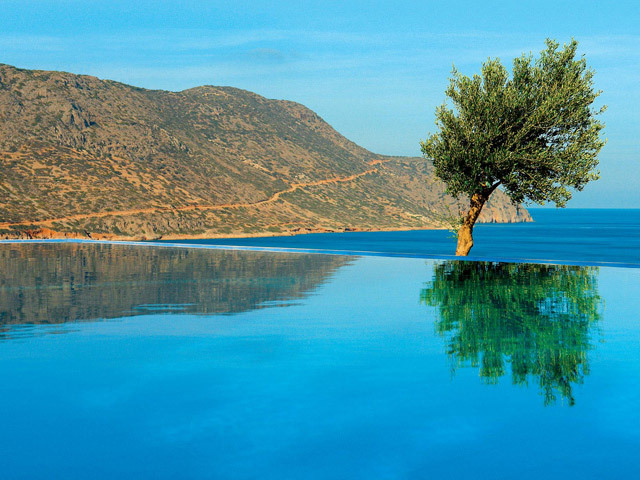 Infinity pool of approx. 22 sq.m. 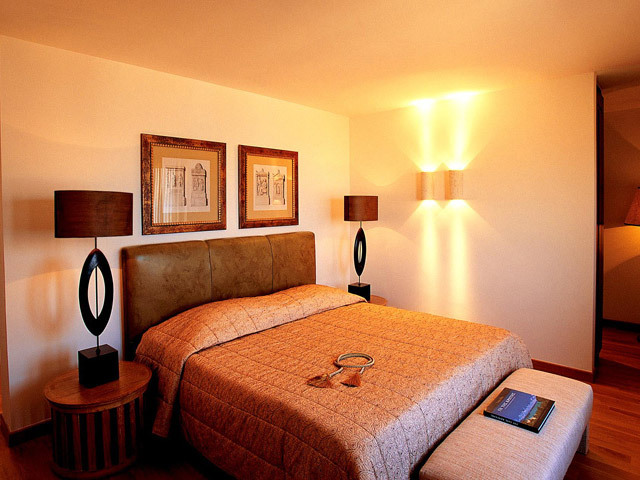 The Deluxe Family Room consists of two bedrooms with their bathrooms in two levels. The large room benefits from a beautiful design with an airy and summery décor which allows a family to spend holidays under the same roof, while ensuring privacy for parents and children. The verandas and the spacious terrace around the private pool, which is heated during colder months, are ideal for family time. All staircases are children safe. Approx. 79 sq. m. not including veranda, patio and around the pool area. 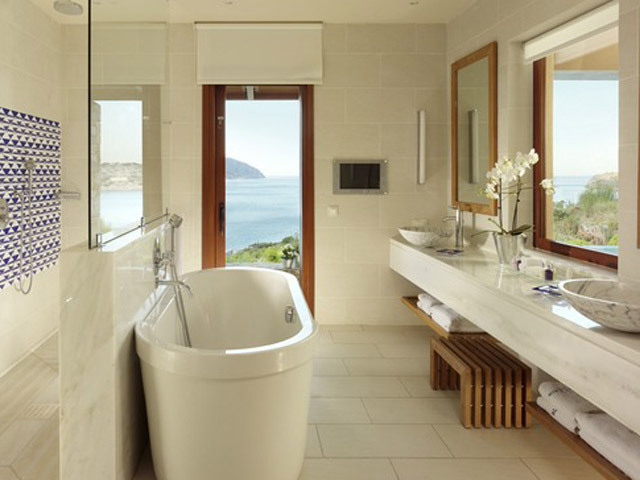 Marble-lined bathroom with bathtub, double sinks and separate toilet and shower cabinet. 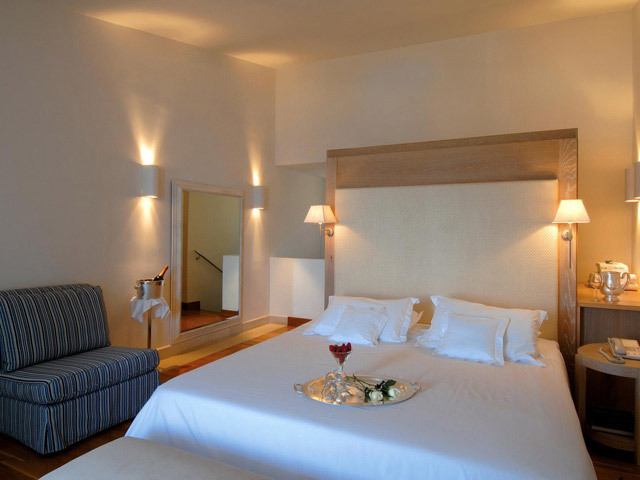 The Junior Suites are an excellent choice as a more spacious and luxurious accommodation. They are elegantly decorated with beautiful enlarged verandas and are the ideal choice for longer stays with flair. 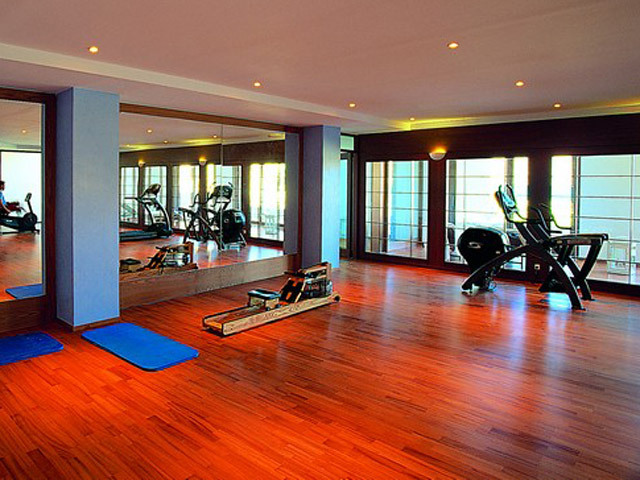 The suites are available either in open-plan style or as a two-room suite. Approx. 60 sq. m. not including veranda or terrace. Open- Plan Suite accommodates up to 3 persons. The Junior Suite with private heated pool combines indoor and outdoor living with flair. 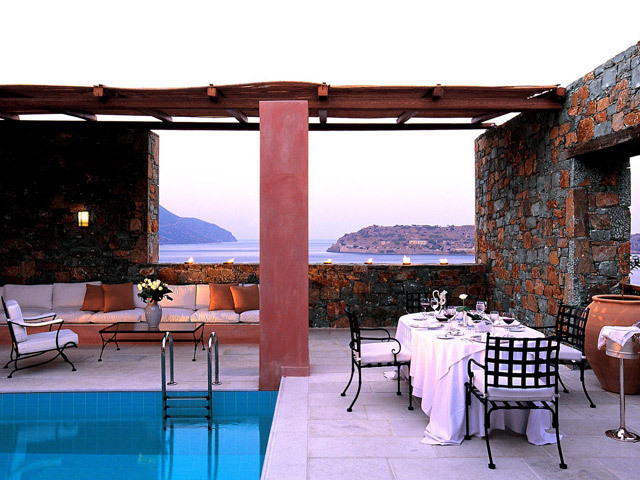 The exquisite outdoor area surrounding a private pool offers varied views to the beautiful landscape or the sea. This elegant suite consists of one enlarged space that includes sitting area with stunning décor, a spacious walk-in closet, a luxurious bathroom and a beautiful veranda, which leads to a private pool that is heated during colder months. Approx. 54 sq. m. not including verandas and area around the pool. Private heated* pool of approx. 21 sq.m. Approx. suite size is 70 sq.m. The Mediterranean Maisonette Suite has a beautiful layout with the bedroom on the top floor and the living room on the ground floor leading to a veranda with stunning sea views and an “infinity pool” that looks as if it merges with the sea. 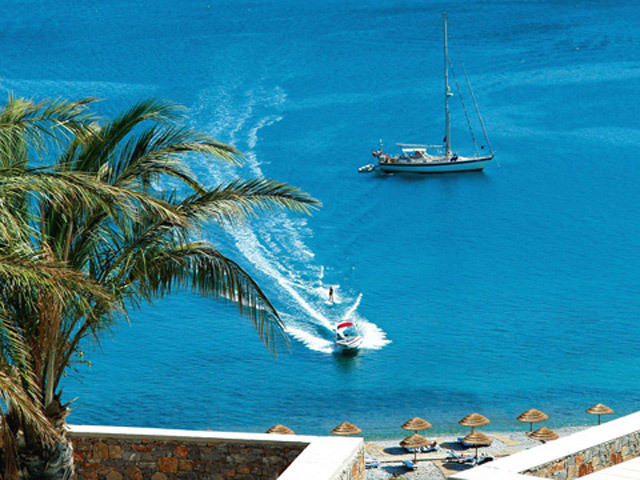 With its bed facing the sea, this is the ideal choice for the most romantic escapades… The decoration and colour combination is very summery with whites and blues, wooden floors and marble lined bathrooms. The Suite size is 70 square meters, while the veranda and the terrace are both spacious enough to enjoy a day of relaxed swimming, sunbathing and a romantic Starlit dining. 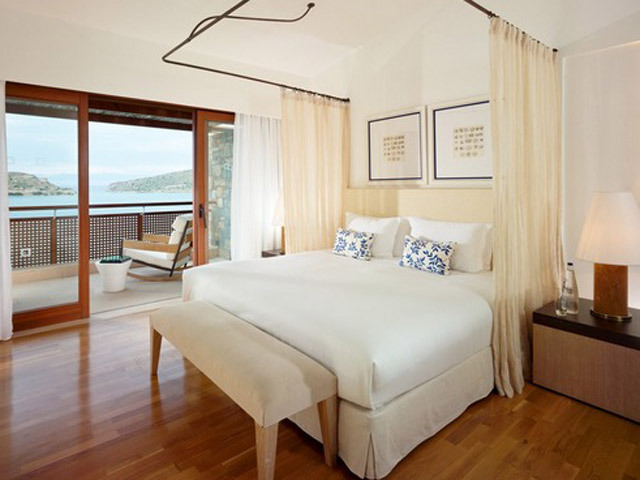 The Deluxe Suite are decorated in an impressive yet elegant and contemporary way to evoke a summer feeling. A spacious and stylish living room, two generously proportioned verandas, a large “infinity style” pool and an atmospheric interior provide you with little reason to spend your day out. Their comfortable super king size bed is adjustable by remote control, the wide screen TV and the double dressing area make them the ideal choice for longer stays and also a choice for parents with small children, who wish to stay in one room, as an extra bed can easily fit in their spacious living room. Approximate Suite size is 66-70 sq. m. not including veranda and terrace. A maximum of 2 more persons can be accommodated in the living room. 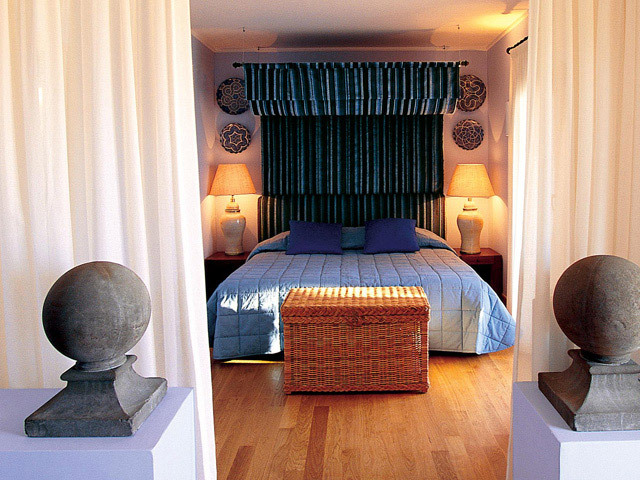 Each of our Island Luxury Suites is named after a Greek Island and decorated with handpicked artefacts from there. Luxurious and elegant, this is the ultimate choice for privacy and romance. 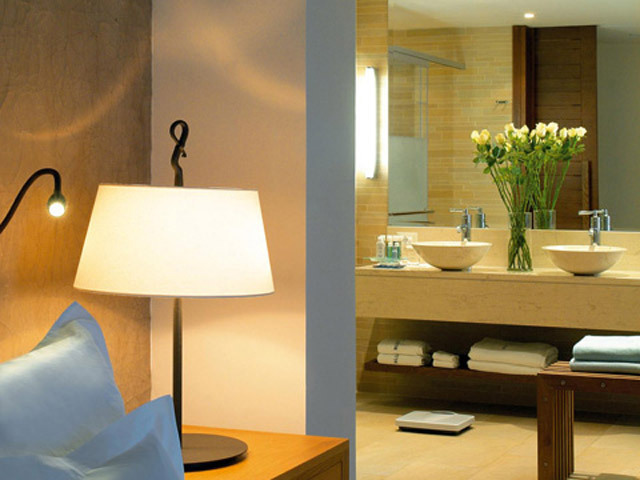 In the Island Suites our guests enjoy a very personalized –boutique– feeling. 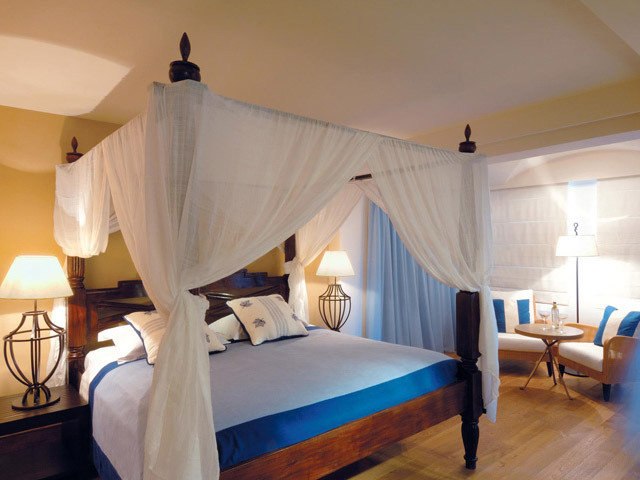 Their spacious and atmospheric bedroom with four poster bed overlooks the sea and their elegant living room leads to a large secluded veranda with a secluded private heated swimming pool surrounded by a spacious patio. 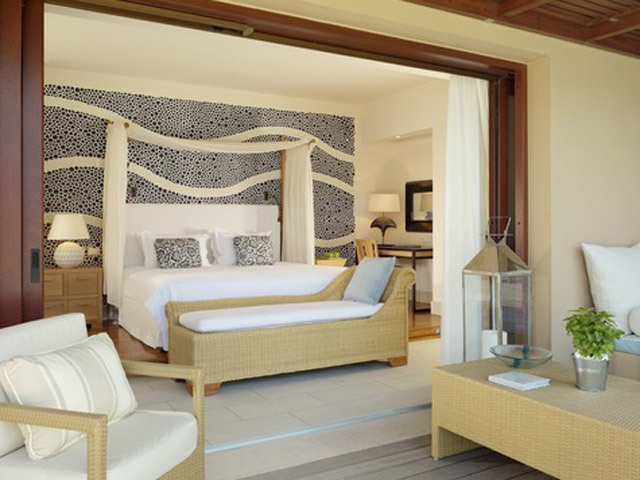 Privacy and individuality is what makes the Island Luxury Suites truly distinctive. Approximate Suite size is 72 sq. m. not including veranda and area around the pool. 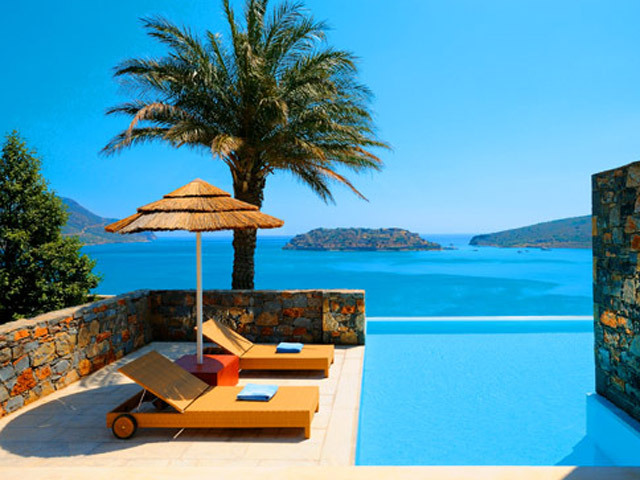 Private Villas The four private Villas of Blue Palace, Resort & Spa impress even the most sophisticated traveler. Designed to function as private residences they ensure discretion and absolute privacy in an elegant atmosphere. 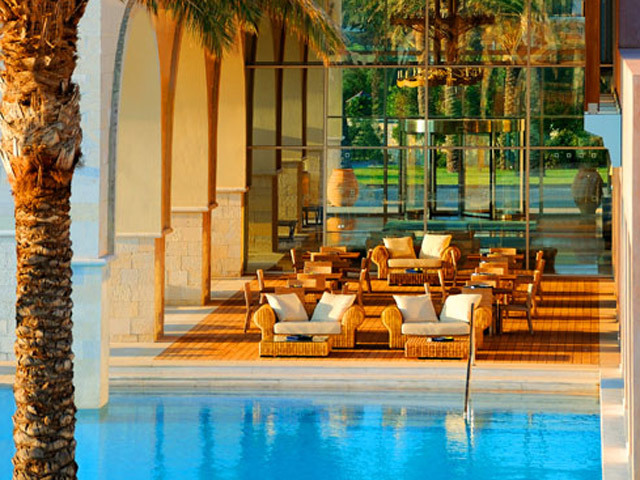 They are located within the resort premises and present the ideal choice for larger parties or guests who wish to combine stylish vacationing and the facilities and services of the resort. 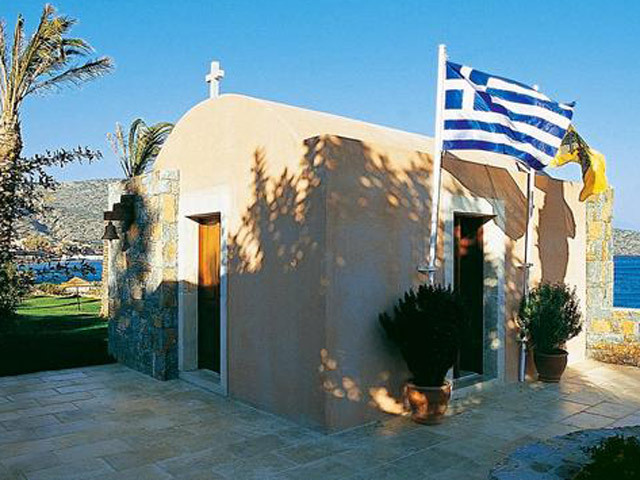 A number of special services have been reserved for our Villa guests. 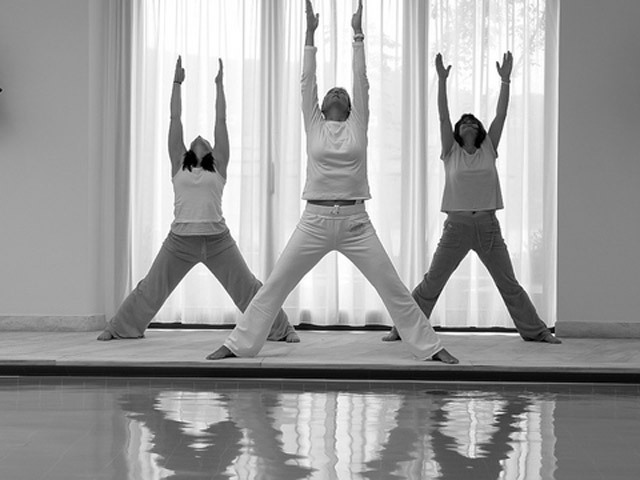 Get inspired by their relaxing elegant theme and choose to spend your holidays in style. 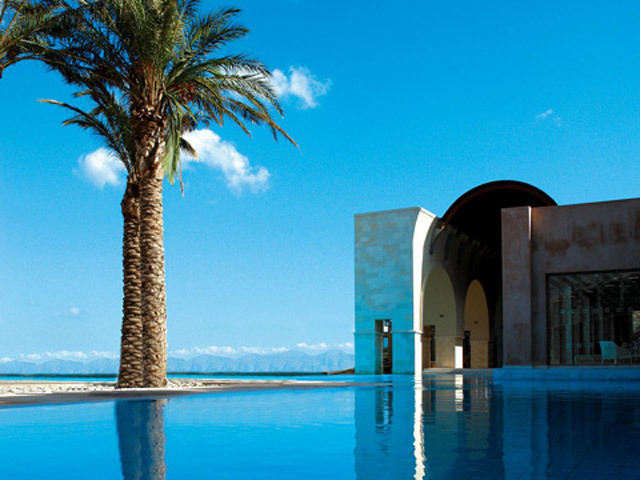 Villa Almyra is inspired by the Oriental style of the Mediterranean with original pieces handpicked from Morocco, Crete and other Greek Islands. It consists of two bedrooms with en-suite deluxe marble bathrooms and a grand living room with impressive features and great views. Villa Almyra is designed to ideally combine indoor and outdoor living, with a beautiful terrace overlooking the sea, a pebble mosaic veranda with a dining area and sunbathing space around a heated pool of 28 sq. 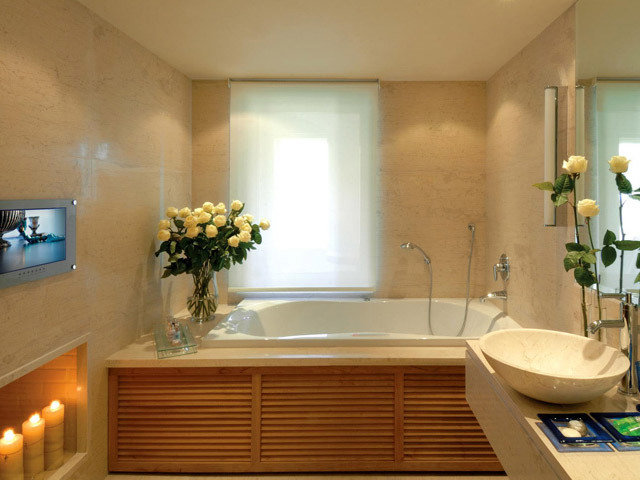 m.
En-suite marble lined bathroom with double sinks, Jacuzzi bathtub, separate toilet and shower cabinets. Two Bedrooms, Sea View and Private Heated Pool Villa Thalassa is located in the same neighborhood designed under the same influences as Villa Almyra. As you enter the villa you find yourself in a spacious living room with fireplace and a large inviting oriental style divan. Villa Thalassa features two bedrooms with spacious en-suite marble bathrooms, a living room area with guest bathroom and a beautiful veranda leading to a heated infinity pool of 31 sq. m.
Total indoor size of 110 sq. m.
En-suite marble bathroom with double sinks, jacuzzi bathtub, separate toilet and shower cabinet. 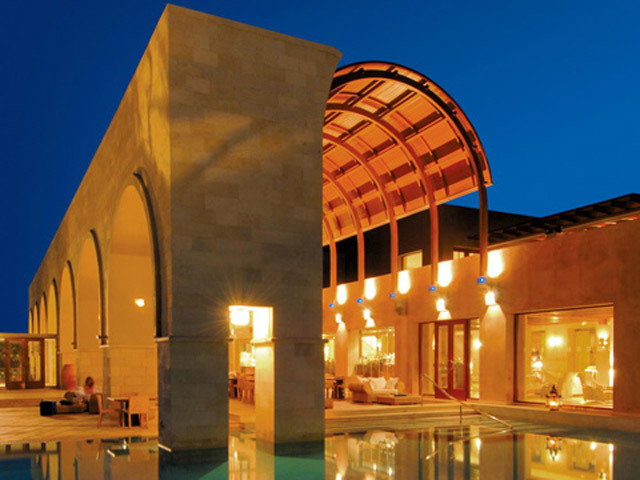 Close the gate to the Grand Villa and escape into your private world of luxury and elegance. This villa, with its earthy welcoming colours and large Cretan pots, invites you to its spacious rooms overlooking a charming patio with pebble mosaic. Enjoy its relaxing outdoor area which ideally combines in-door and out-door living. For guests who decide to have a private dinner or function in the Grand Villa, our Chef can prepare delicacies in the outdoor kitchen. Total indoor size of 220 sq.m. En-suite marble bathroom with double sinks, jacuzzi bathtub, separate toilet and shower cabinets. 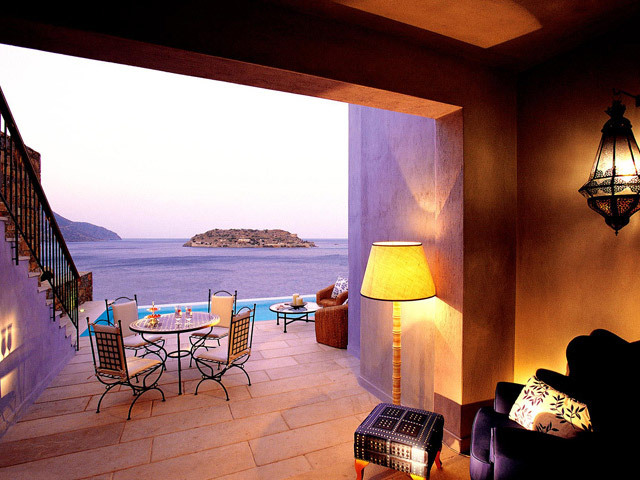 Impressive outdoor patio ensuring absolute privacy and offering uncompromised views to the sea and the isle of Spinalonga. 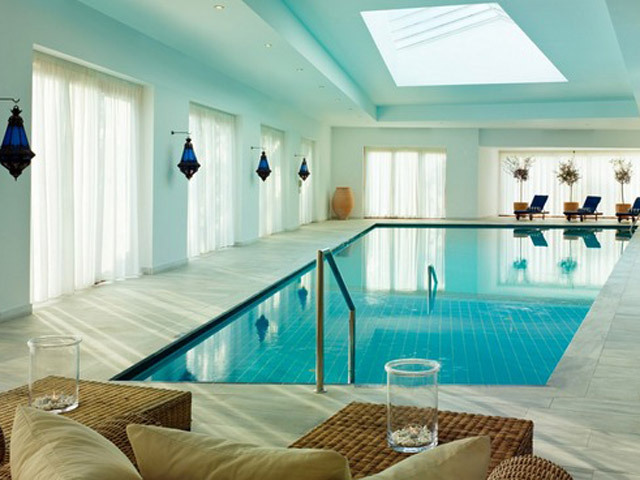 The new Royal Blue Villa will be an attribute to ultimate luxe with state of the art features. A private Residence with its own entrance, this villa enjoys a unique location with spectacular views to the Mediterranean Sea. 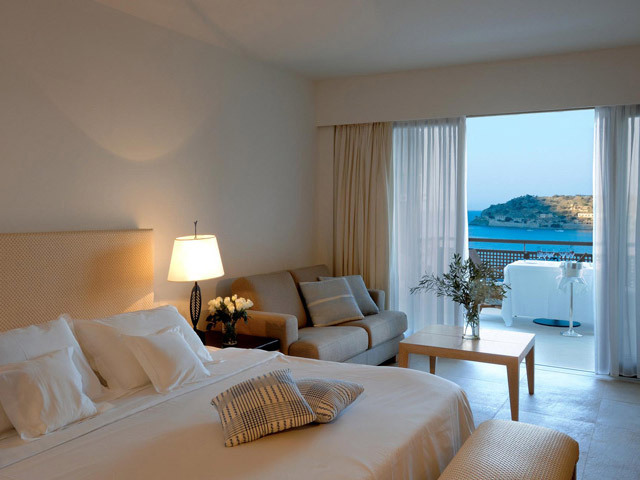 All rooms are individually decorated with handpicked furniture. Total indoor size of 290 sq. 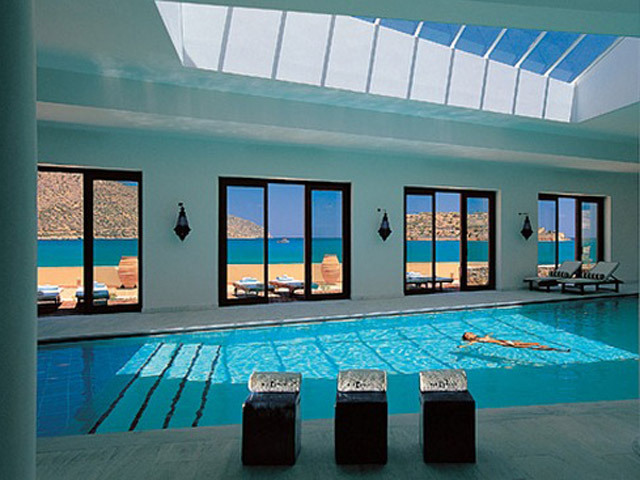 m.
All the swimming pools are kept in an excellent condition using the latest technology and most natural methods. Chemical Parameters (Ph, Chlorine levels etc.) are regulated under the strictest EU Standards. All Guest Room Pools are with sea water. The swimming pools of our Bungalows, Suites and Villas are heated to a pleasant temperature of 26 o Celsius during spring and autumn months. For temperatures over 27 o C an extra charge may apply. 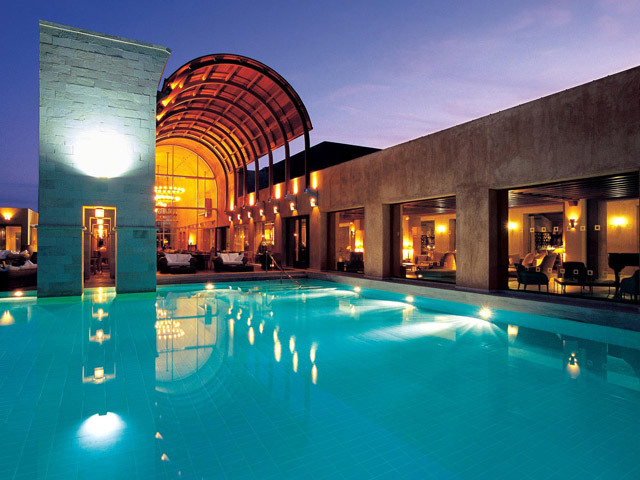 Fantastic hotel, nice location next to beach and sea. We had also private pool which was perfect. Loved the Greek Restaurant. Really absolutely nothing to complain about (except for the -third party - car rental services from Hertz, who did not only block the guarantee amount on the credit card, but directly charged it, without having properly closed the transaction 3 days afterwards). But the hotel, installations and personnel - just great. A place to always return to. Super Offer Early Booking PLUS FREE HALF BOARD !! The offer is valid for the stay : 05.09.19 - 30.10.19 !! Minimum 3 nights stay !! LIMITED TIME OFFER !! Super Offer Early Booking PLUS FREE HALF BOARD !! 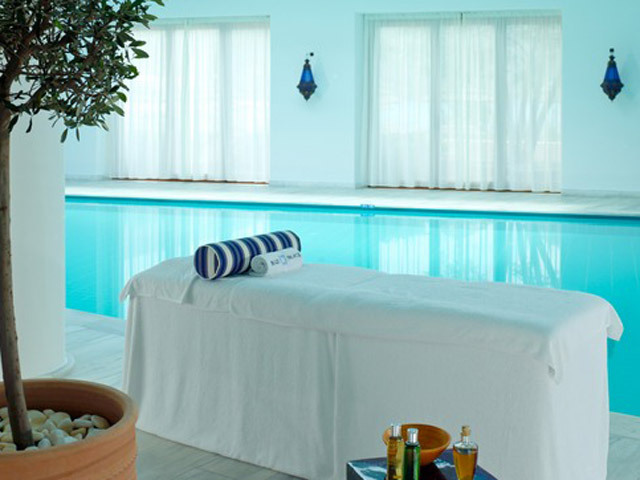 The offer is valid for the stay : 19.04.19 - 10.06.19 !! Minimum 3 nights stay !! LIMITED TIME OFFER !! 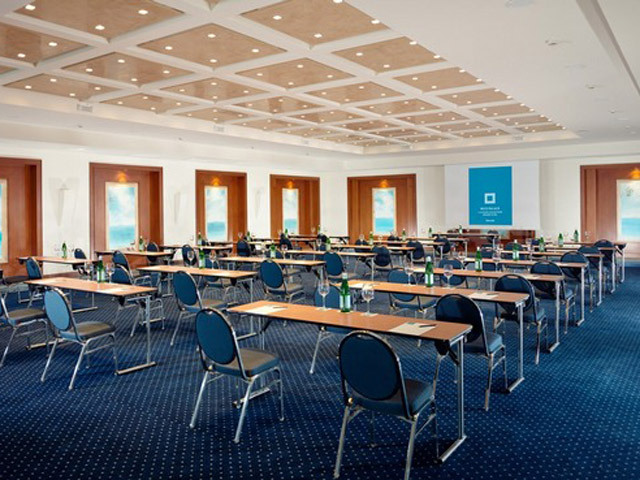 Book now and Benefit a reduction up to 40% !! PLUS FREE HALF BOARD !! 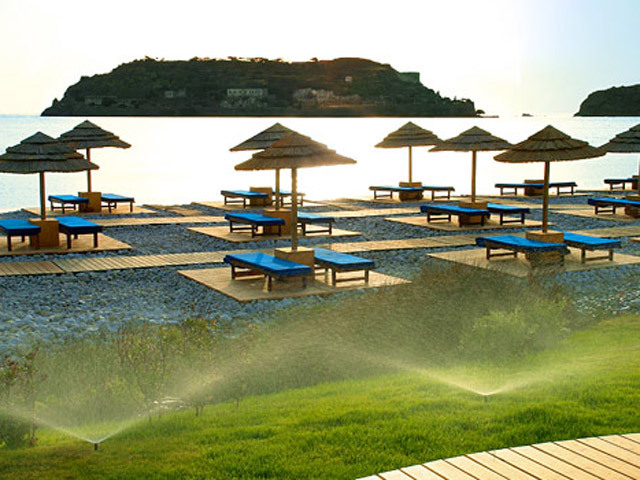 19.04.19 - 31.05.19 & 01-30.10.19 (5 nights) The offer is valid for the stay : 19.04.19 - 30.10.19 ! !, 1st Child Stay Free of Charge !! April, May & October !! The offer is for A LIMITED TIME !! Special Offer Up To 40% !! for All Suites & Villas !! Valid for the stay : 01.09.19 - 31.10.19 !! LIMITED TIME OFFER ! !